I could not really figure out which was the first in the series when I saw these on my library's shelf. I was looking for a new series that would be a light amusing read. It looks like these books may do the trick once I find out where to start. This particular one was more like five short stories as it looked at the life of a number of applicants for a quilting job. Each character was different & interesting though some of them were rather harshly treated by those around them. Possibly that is more of a reality than I would like to acknowledge for many women even in Western cultures. 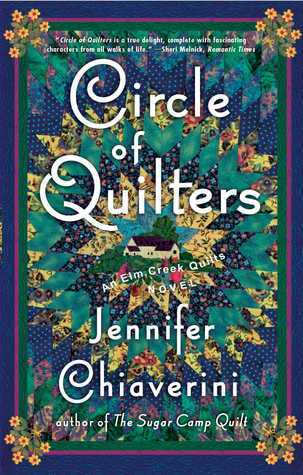 Sign into Goodreads to see if any of your friends have read Circle of Quilters.